Your name and Core Teacher code centered under poem title. Core Teacher Code is teacher's last initial and periods. 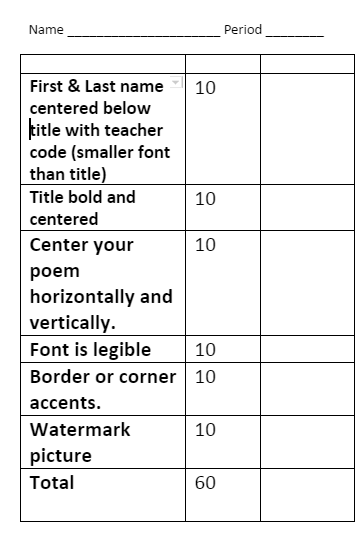 Your font does not have to be from the formal writing list, but it must be legible. Choose a font size that fills the page, but does not go over one page. 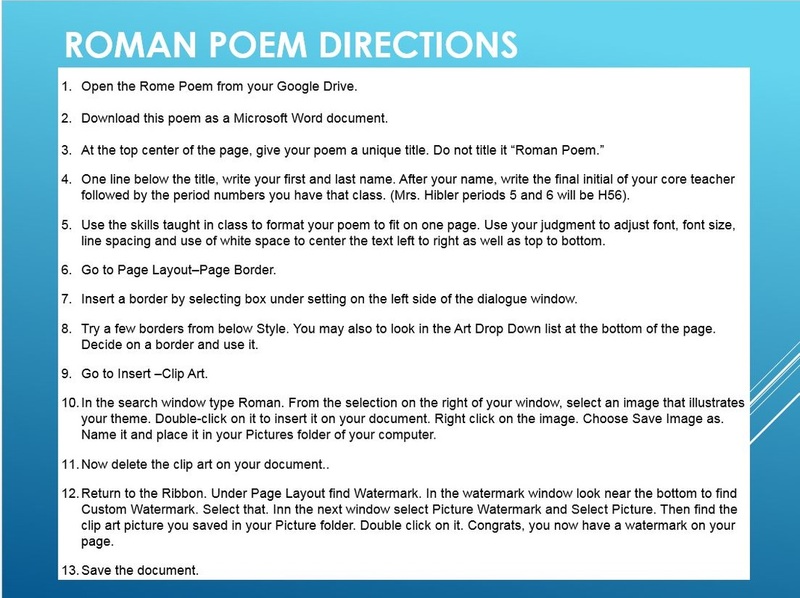 Center your poem horizontally and adjust the line spacing and font size so it is centered vertically also. This means the top and bottom margins are equal. Add a border or corner accents. 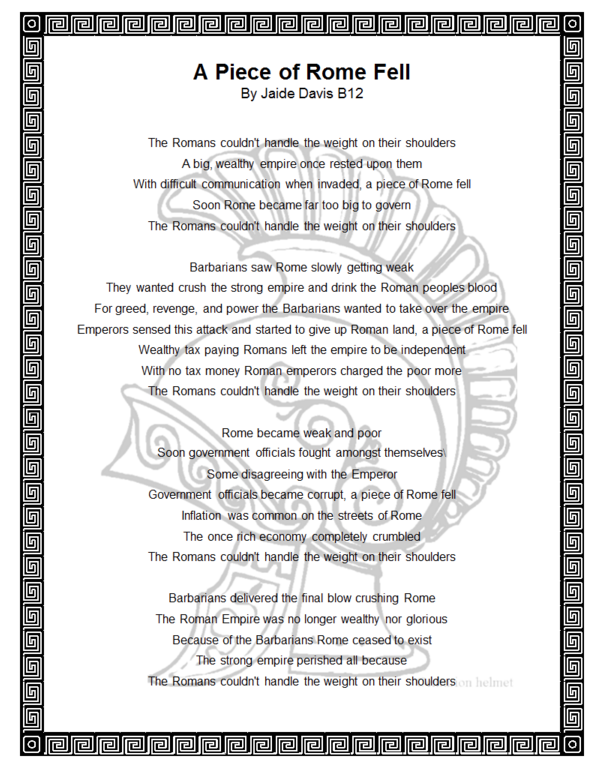 Add a watermark picture behind the poem.